Why choose Mepra pots? Because cooking with quality tools is fun. Whether it’s a fancy new Wusthof knife, a brand new wooden cutting board, or a set of brand new pots and pans, having fine equipment at your disposal can make cooking faster, easier, and more entertaining. Having a variety of tools you’re enthusiastic about will make it easier for you to find excuses to cook and will make the task of cooking itself much more enjoyable. When it comes to cookware, few brands are finer than Mepra. This Italian company has been making high-quality stainless steel kitchenware since the early 1950’s. Today, its stainless steel cookware sets are some of the finest — and most expensive — on the market. Not everyone will have space for Mepra pots and pans in their budget. While this fine Italian stainless steel cookware might last you for the rest of your life, it still costs an arm and a leg. Let’s dive into some detailed reviews in order to help you figure out whether or not this pricey cookware is appropriate for your kitchen. If you’re after a full collection of ultra-fine cookware, this 12-piece Italian cookware set is a great place to start. Unlike many cheaper cookware sets, it comes with no “piece padding” in the form of utensils, inserts, and measuring doohickeys. Instead, you get 6 pots and 6 pans. Nevertheless, the high price of this stainless steel set may put it out of reach of some households. As you would expect, this set is made using the typical tri-ply construction approach that’s common to most high-end cookware. This means it’s got a durable 18/10 stainless interior which is easy to clean and safe to use with all types of food. 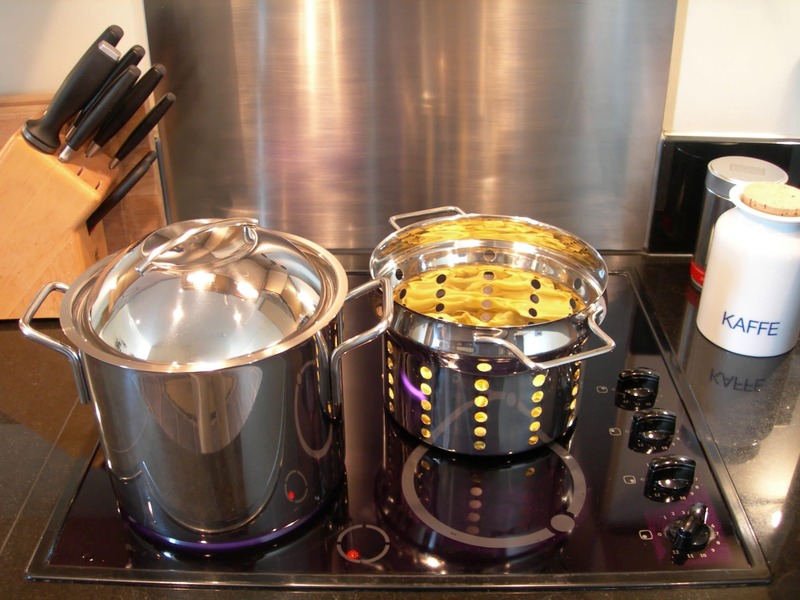 The inner core is made of aluminum, providing excellent heat distribution, while the outer layer is made of a magnetic steel alloy that allows these pots and pans to be used on an induction cooktop. Of course, this isn’t exactly a unique feature. While the aluminum core in these pots and pans extends all the way up the walls of each piece of cookware, you can find this same design principle in cookware made by many other brands. All-Clad, Cuisinart, Cristel, and probably a dozen other brands offer tri-ply stainless steel cookware that has fairly similar performance and durability. So what’s unique about the Attiva line? One of the more obvious differences is the aesthetics. Pots and pans often look pretty similar these days, so it’s nice to see an approach to design that manages to innovate without impeding on functionality. Mepra’s Attiva cookware features squared-off handles and polished sides that work together to create something that’s both subtle and striking at the same time. This is definitely one of the better-looking cookware sets you can find, period. Another advantage comes in the form of dishwasher safety. Mepra has designed these pots and pans to be used in high-end hotels and restaurants where the kitchen staff doesn’t have time to hand-wash every dish. Each piece of this cookware set can be thrown in a normal dishwasher with no problems. This makes cleaning up burned-on food fairly simple since you can use the dishwasher to scrub for you while you do other things. Since we’re talking about burned-on food, it’s worth mentioning that these are NOT non-stick pans. The stainless steel cooking surface of these ultra-durable pots and pans can be used to cook pretty much anything, but you’re going to have to use a bit of cooking fat, careful temperature control, and your experience as a chef to prevent food from sticking. With a bit of practice, you’ll be able to fry eggs over-easy and cook every type of meat without making a mess, but it will take some time and patience to learn the proper technique. The durable metals used in the construction of this cookware are practically indestructible, however, so making a mess or two won’t impact the lifespan of your pots and pans. This durability is the reason to choose a set like this over non-stick. Non-stick sets might be cheaper and easier to cook on, but they’re not going to outlast an all-metal cookware set. Cookware manufacturers don’t like to talk about this, but non-stick coatings don’t last for more than a couple years. Even the best Teflon or ceramic coating will wear out after three to five years of careful use, and that’s assuming you read the manufacturer’s care instructions and follow them to the letter. Should you overheat your pans, use them in the dishwasher, or neglect to use the right kind of cooking oil, your non-stick pots and pans might give up the ghost in under six months. This Mepra set, on the other hand, will easily last for 20 years with proper care. It’s a lot easier to justify the cost of this cookware set when you keep this extreme durability in mind. Replacing a non-stick set every two years for 10 years gets pretty expensive. When you look at that number, the cost of this Mepra set doesn’t seem quite as high anymore. Heft is a difficult term to describe without weighing every piece of cookware in a cookware set, but it’s definitely a word that gets thrown around in regards to Mepra cookware. 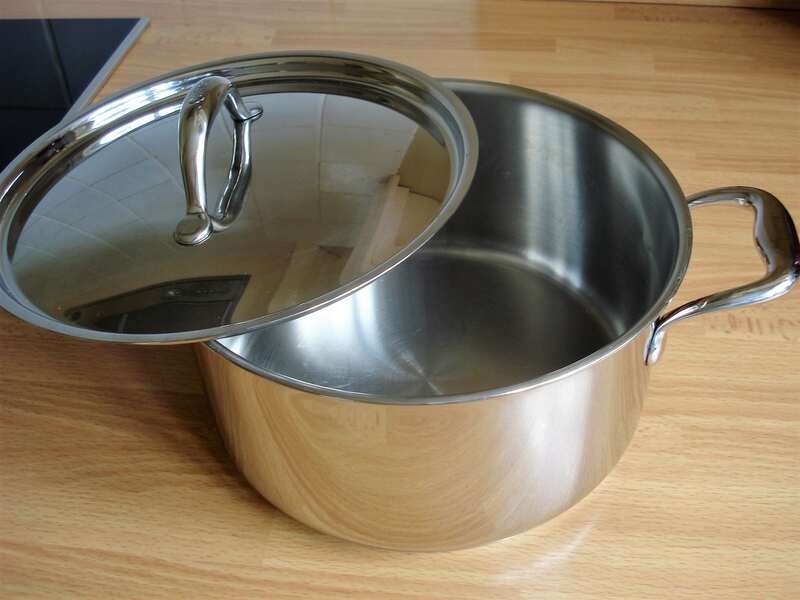 Each pot and pan is made with quite a lot of metal, which helps give it lots of thermal weight. This is especially helpful when you’re adding cold food to a preheated pan since the extra metal means your pan won’t cool down as much. While the added material takes a little bit more time to heat up, the thick aluminum core ensures that temperature changes are still quite brisk. The little details in the Attiva line make sure that you’ll enjoy using it for its full, long lifespan. It’s got riveted handles that won’t require your attention, ever, instead remaining solidly attached for many years. The interiors of the pots have measuring marks in metric to make cooking soups, stews, and stocks a breeze. The included lids form a tight seal with no problems and are shatter-proof (due to their metal construction) and oven safe to a ridiculously high temperature. These features ensure that you’ll have zero problems five, ten, or twenty years down the line with this cookware set. I am a big fan of this cookware. I love cooking on Mepra pots and pans whenever I get the chance. I do not, however, think that this particular cookware set is necessarily worth the price. I would strongly recommend comparing the price of this cookware set to tri-ply options from luxury brands like Demeyere, All-Clad, and Cristel. While I think that Mepra’s pans are slightly better looking than All-Clad and arguably higher quality, I would not pay substantially more for them. If you can pick up a set from one of these other brands with the pots and pans you want at a price that’s several hundred dollars less, I would absolutely do that instead. 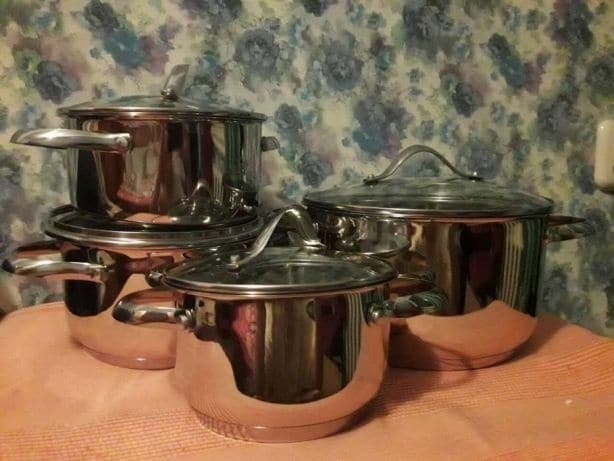 Again, I think that this Mepra cookware set is one of the finest sets available on the market. You will certainly love having it in your kitchen. Nevertheless, I think the price increase over other luxury cookware brands may not be worth the marginal gain in aesthetics and build quality. You’re getting Italian cookware instead of Belgian or American, it’s a bit heftier than cookware from other brands, and it looks a bit nicer. While these qualities are nice, they may not be worth the increased price in your household. This smaller 6-piece set comes with three pots and three lids. While its hefty tri-ply construction is quite similar to the set above, it lacks the special magnetic steel alloy exterior that makes the Attiva line induction compatible. Nevertheless, it still features an incredibly unique aesthetic and great durability, while the smaller size of the set helps make it a more affordable way to try out Mepra’s incredible cookware. As far as unique features go, the 1950 line is quite similar to the Attiva line in that it’s quite similar to other luxury brands. The three-layer sides are nice, but they’re not especially unique. 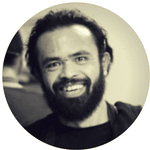 Just like Attiva, the biggest discrete advantage is probably the incredible aesthetic. These pots are some of the best looking pieces of cookware you can find. While the full Attiva set requires some practice to cook with if you’re used to non-stick cookware, these stainless steel pots can be used for most tasks without too much thought. I tend to use my pots for things like pasta, rice, and steaming vegetables. My soups and stews hardly ever make a mess unless I’m extremely sloppy with the burner. In other words, the things you cook with this cookware set aren’t particularly prone to sticking. This means that you can transition from a less durable non-stick set much more easily. Of course, as an all-metal cookware set, this set of three pots will last for practically forever. It’s got the same solid, riveted handles as the Attiva set above and it comes with well-fitting lids with a distinctive rounded design that really helps add to the aesthetic. Since the set is dishwasher safe, it’s easy to care for, too. You’ll be showing off the polished exterior of your cookware for many years. While the reduced cost of this smaller set makes me slightly more likely to recommend it, it comes with the same set of caveats as the Attiva set reviewed earlier. I feel like it’s not particularly difficult to find a lower-priced cookware set of similar size from another luxury brand. This Mepra set is certainly better looking and may be slightly higher quality, but these factors might not be worth a substantial price increase in your kitchen. My personal favorite way to try out a new brand of cookware is to pick up a large, deep covered frying pan. While this Metra pan remains pricey, it’s much more comparable to options from other brands than the full cookware sets. I love these types of pans because of their versatility. The tight-fitted lid and tall sides enable you to make pan sauces with ease and even dabble in cooking small stews and soups if you really want. Meanwhile, the broad, flat cooking area is easy to access and has plenty of room for searing meats or toasting spices. 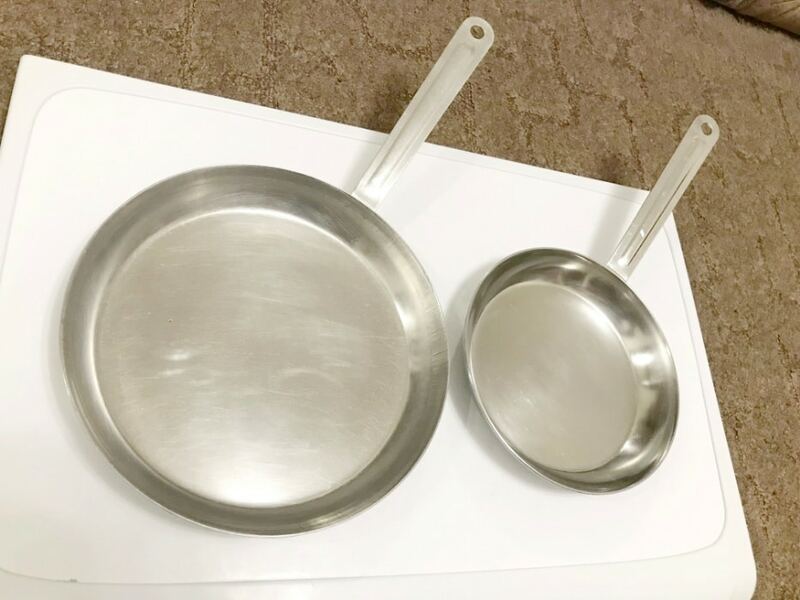 While the big advantage that metal pans like these have over non-stick comes from their extreme longevity, one smaller advantage that you might want to consider comes when you cook meats. Browning chicken or searing a steak on a metal pan will leave a bit of residue, called fond, that you can use to make a pan sauce. Some newer ceramic non-sticks claim that you can achieve this same effect, but it’s much more pronounced in a metal pan. You can really take advantage of this effect in order to create some incredibly classy dishes. Just like the full Attiva set above, this is a hefty tri-ply pan that’s both induction compatible and dishwasher safe. The aesthetics make it perfect to hang on the wall, while the durable all-metal construction ensures that it will stick around for years, likely even decades. It’s certainly something that you’re going to be happy to have in your kitchen for a very long time. While the high cost of this pan should give you some amount of pause, I think that it’s much more comparable to options from other brands than the full sets above. 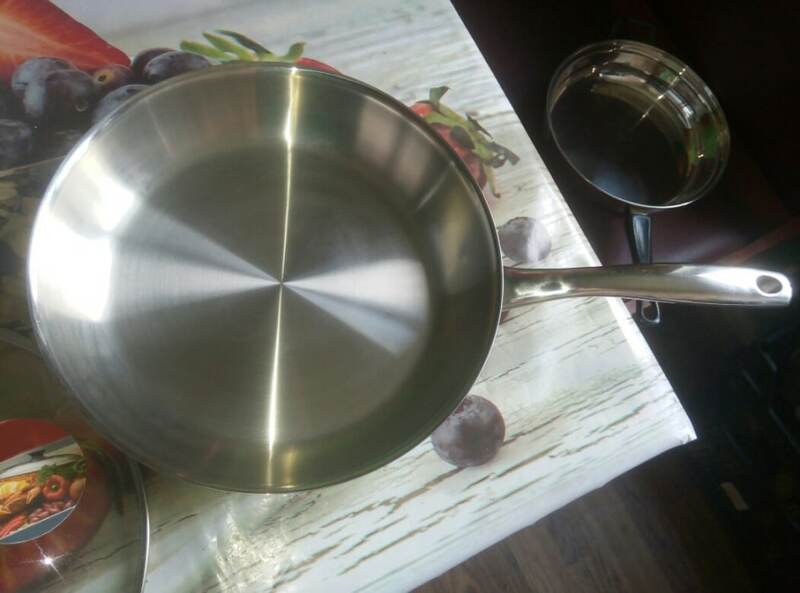 It’s a bit smaller than a comparable lidded All-Clad pan (10.5 inches vs 12), but the cost is somewhat similar. This makes this stainless steel Italian pan one of the best ways to give Mepra a try and see how premium Italian cookware works out in your kitchen. While I love Mepra’s cookware, I think that Cristel or Demeyere cookware might be a better fit for my budget. The steep premium that this Italian brand charges for their superior aesthetics is somewhat hard to swallow. Nevertheless, their pots and pans are some of the finest items available on the market. If you’re looking for hefty, high-quality cookware that’s dishwasher safe and incredibly good looking, give Mepra a try. Just be sure to check the prices of other luxury brands as well!